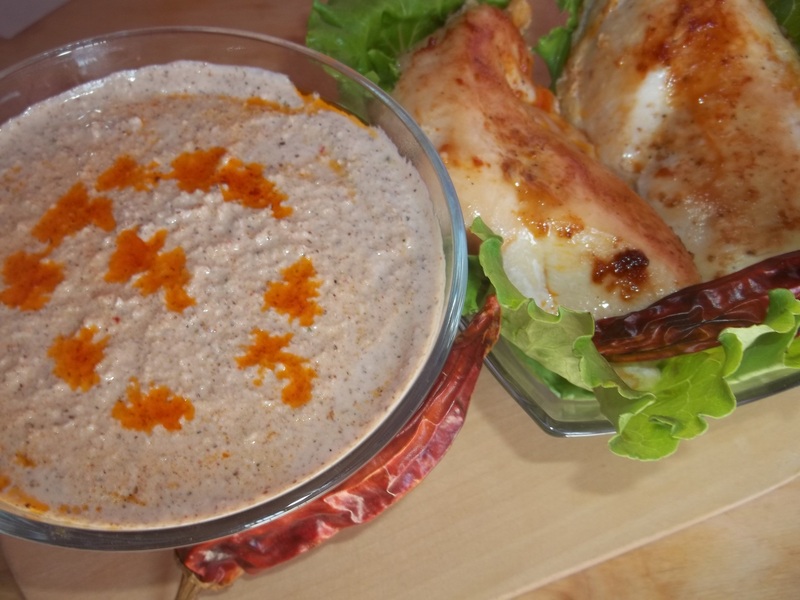 Arashykh Syzbal is an Abkhazian sauce similar to bazhe sauce but made with ajika. It is eaten with fried or boiled chicken or turkey. 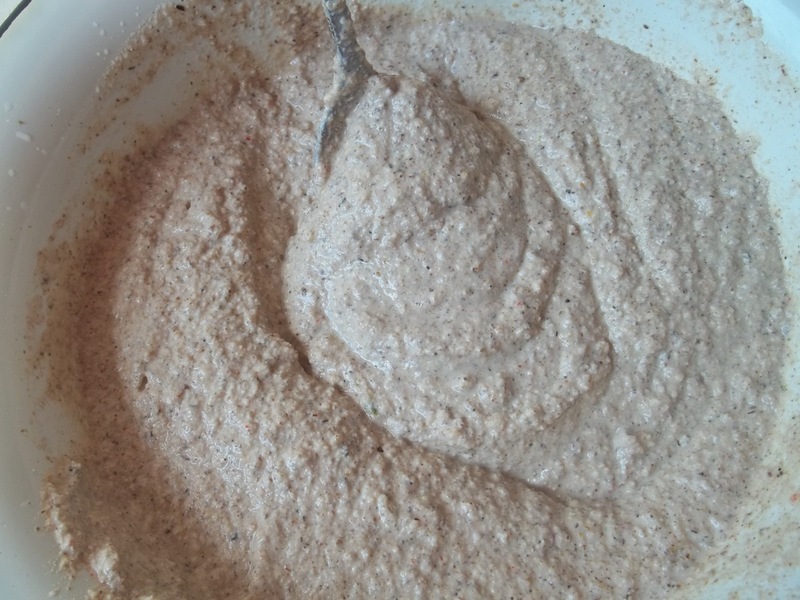 It is also used as a sauce for Abkhazian ‘abysta’, which is similar to ‘gomi’ (Georgian: ღომი). 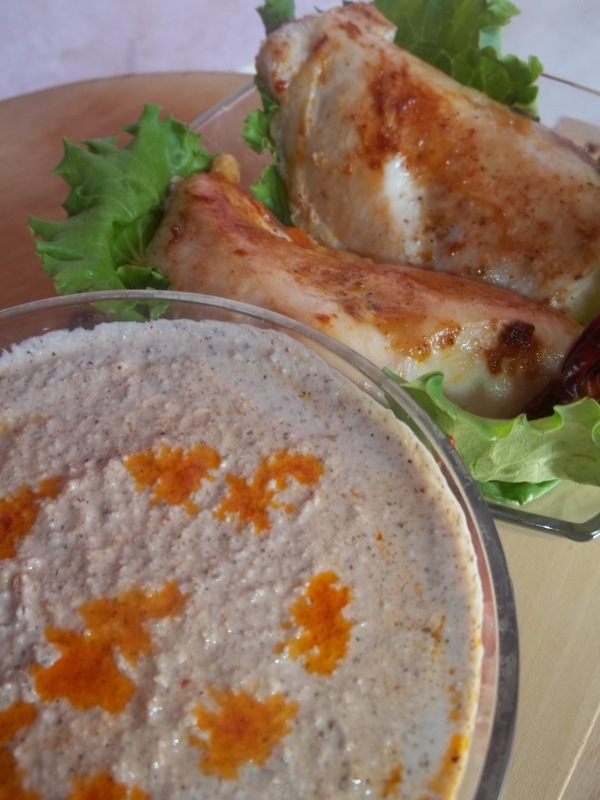 Ingredients: 300 grams of walnuts, 4 cloves of garlic, 1 tbs of Ajika (click link for recipe), 1 tbs of Akhkhyla(Abkhazian spice mix – click link for recipe), and salt. 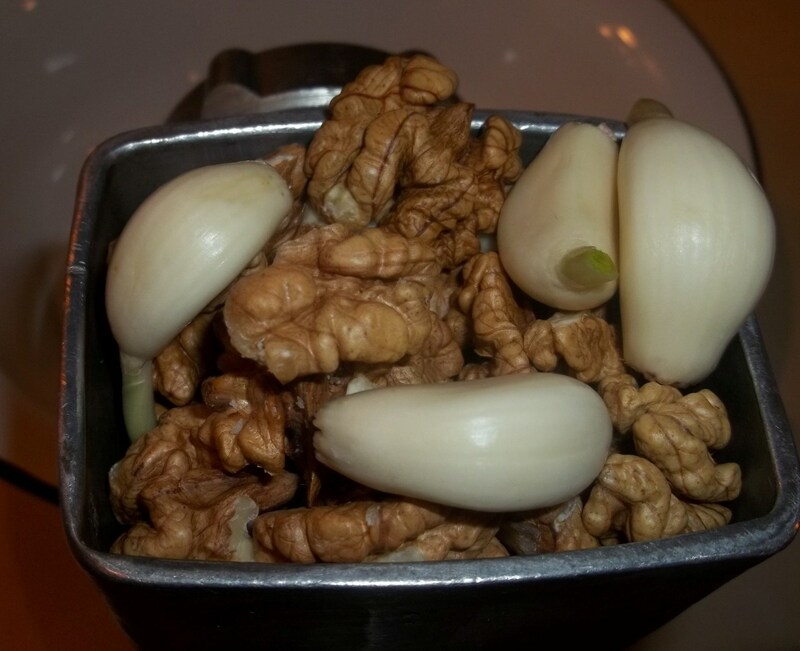 Preparation: Grind the walnuts and garlic together. 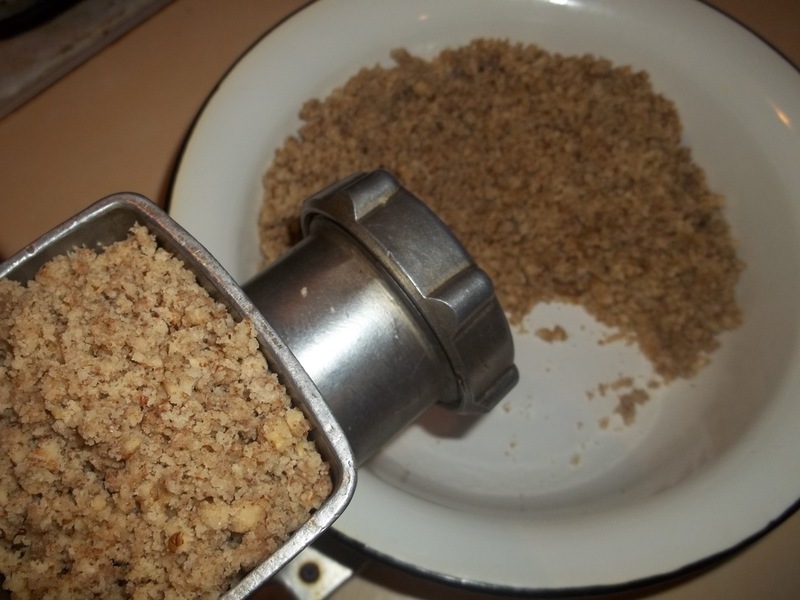 Re-grind the ground walnuts and garlic. 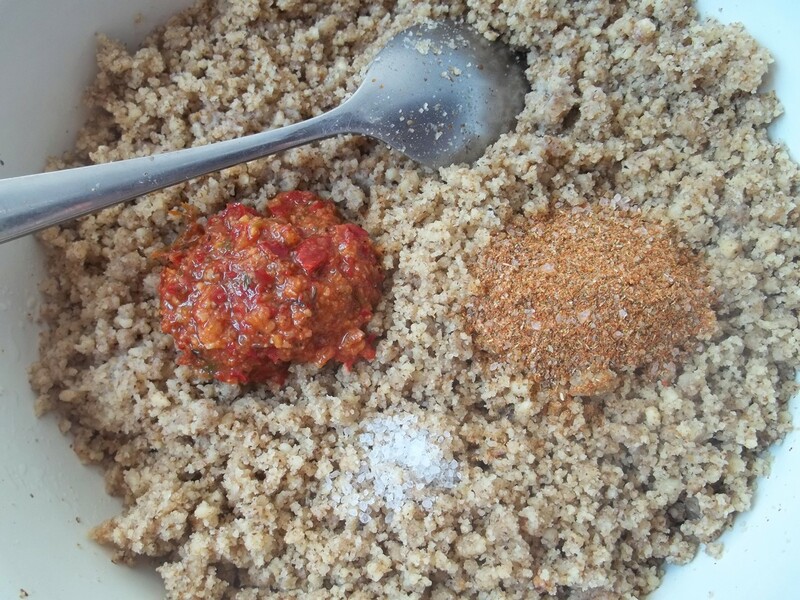 Add 1 tbs of Ajika, 1 tbs of Akhkhyla (Abkhazian spice mix), and salt. Mix thoroughly. Gradually add boiled, cooled water until the mixture has a smooth consistency. The mixture should look like the picture below. Serving: Serve cold with chicken or turkey. We added walnut oil.